Hollywood's shown a fair number of faux-tan fails recently. Here's how to look better, with tips from the pro who bronzed Hugh Jackman, Gwyneth Paltrow and others who don't look like Oompa Loompas. The only thing worse than a bad fake tan is a bad fake tan on a man. But look how nicely he matches the backdrop. Faux tans gone wrong are a special kind of horrible – they tell the world that not only are you hopelessly vain (which of course, we all are) but that you&apos;re clueless and lacking in good judgement. So both vain and stupid. Great. It&apos;s a tan disaster like this that I feared when I went to meet St. Tropez Tanning Guru Nichola Joss to get my own (preferably orange-free) glow on. St. Tropez is the tan of choice in UK fashion mags and Joss, with her tawny limbs and beachy hair, is their high priestess. A British version of an LA girl, she spends a lot of time in Hollywood, buffing and polishing stars like Gwyneth (below in a gold Calvin Klein at last year&apos;s Oscars). Joss even bronzed Hugh Jackman for his Academy Awards hosting gig in ’09. Joss understands that faux tanning is like plastic surgery – you only notice the bad. "We are a skin finishing brand," she says firmly. "We never like to say fake tan." 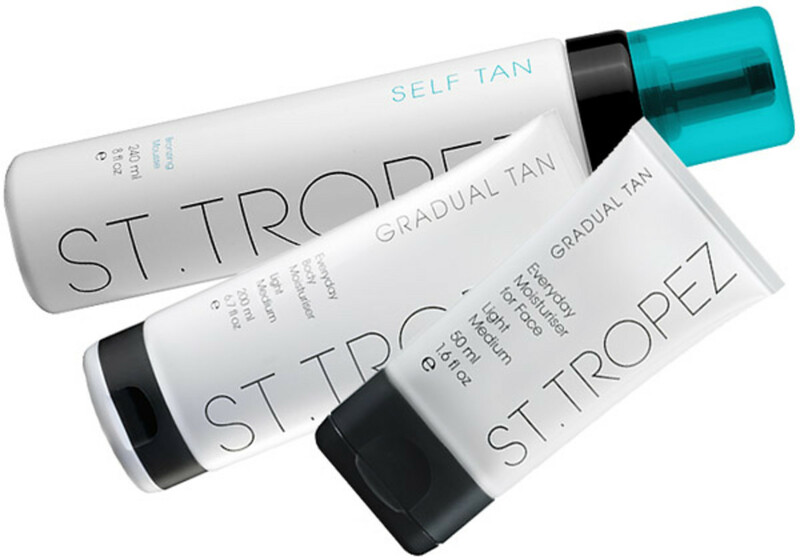 St. Tropez has also cooked up a line of glow enhancing luminizers" the brand is backstage at London Fashion Week, beautifully gleaming up the skin of models walking down runways for designers Erdem and Roksanda Ilincic. So if St. Tropez can convincingly give notoriously skim-milk pale British skin a believable glow then maybe there&apos;s a chance I won&apos;t look like a Jersey Shore wannabe or Lindsay Lohan heading back to court. How it works: Think of your skin as a slice of bread before it hits the toaster. The ingredient in all self-tanners, DHA (dihydroxyacetone) works with the amino acids in your skin like heat does with bread (called the Maillard Reaction for science-minded beautygeeks), resulting in a color change. If I were still at all hesitant about getting sprayed, Joss goes in for the kill with a powerful final point: "Brown cellulite looks better than white cellulite. " Can&apos;t argue with that. THE RESULT My tan (done at Toronto&apos;s AxiSpa) took a day to develop, looked beautifully natural and lasted a week -- a week I spent staring at my formerly pale, now delicately bronzed and glowy limbs. I was sad when it finally faded away. • L&apos;Oreal Paris Sublime Bronze Sun Splash, $17. This spray gel disperses easily for a streak free tan. Not gradual, but pretty idiot-proof. • Olay Quench Plus Touch of Sun Body Lotion, $11. This one&apos;s nice and light in texture and tint so it moisturizes and the resulting "tan" is so gradual it&apos;s suitable even for the hyper-phobic. • Lancôme Flash Bronzer Dream Legs, $40 The favourite of Lucky Magazine Beauty Director Jean Godfrey June, who uses the regular version on her face, this new iteration contains caffeine (just like anti-cellulite creams) for drainage and (presumably) skinnier pins. • Jergens Natural Glow Firming Daily Moisturizer ($10), the original gradual tanner, now comes with firming benefits to reduce the look of (ugh) cellulite. CRUCIAL DIY TIP And please, for the love of all that is holy, exfoliate before applying self-tanner or you risk patchy dark spots on those tricky bits (heels, elbows) where dry skin accumulates. Moisturizing exfoliators will coat the skin and prevent the self-tan from "taking," so don&apos;t use those. Instead, try a scrubby like Dermalogica&apos;s Ultimate Buffing Cloth ($24, dermalogica.ca), which works with your cleanser/body wash to smooth away dead skin with nothing left behind. And because the cloth is synthetic, you never get that horrible oh-God-it-never-really-dried-properly smell that comes with natural loofahs. Oh, and Joss suggests applying cuticle cream to fingers before you self-tan (so you don&apos;t look like a nicotine-stained smoker). Have you ever had an Oompa-Loompa faux tan? 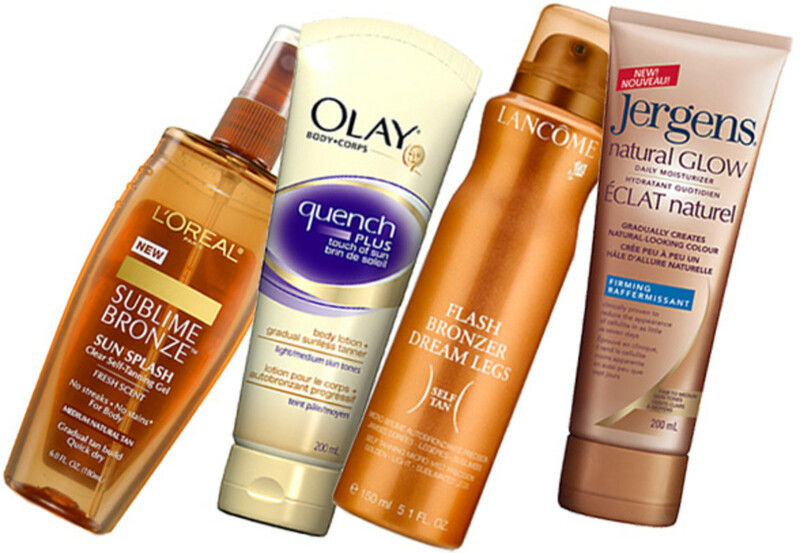 What&apos;s your fool-proof favourite glow go-to?